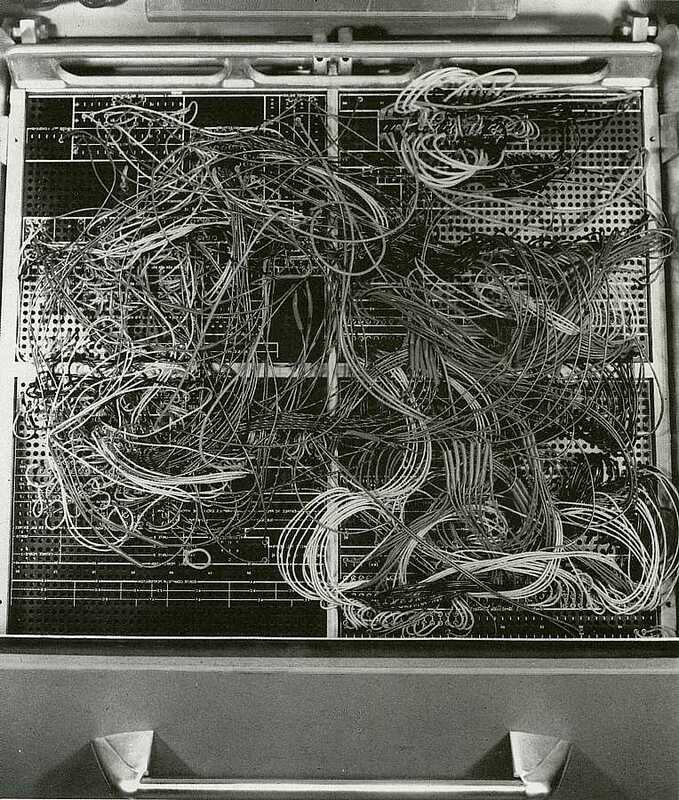 WWAM - (World Wide Accounting Machine) - the hardware design effort by engineers from France, Germany and the U.S. that resulted in the IBM 1401 card (and tape?) system. 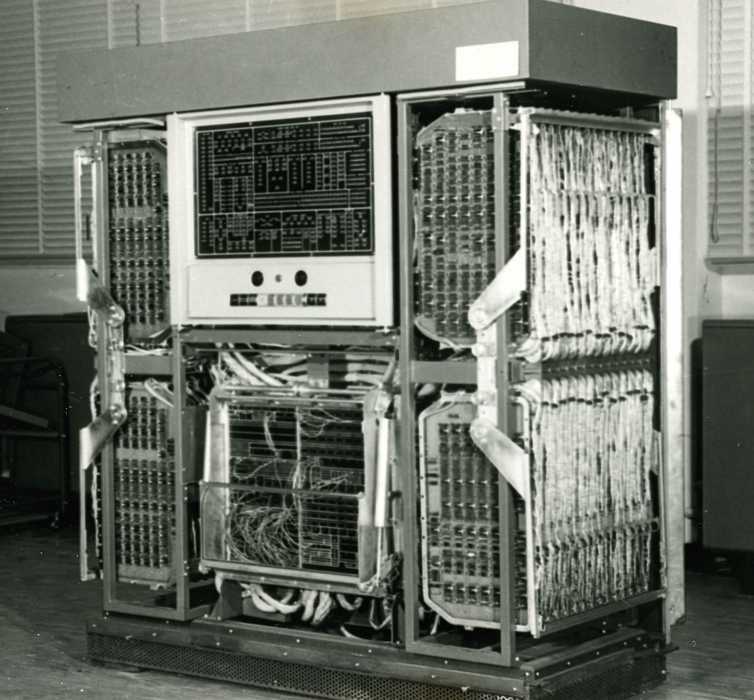 extracts from "IBM's Early Computers"
Oral History of Max Paley collected 1960s, On pages 10-14, he talks about his involvement in the MAC (which he headed up), 750, WWAM, and 1401 projects. WWAM Architecture by Robert Weaver "Here's my try at it." Why a (new, incompatible) 1401, not an IBM 650 compatible upgrade? "Solid State in '58" - the "quote"
"Monday Morning Quarterbacking the IBM 1401 Design, 50 year later ;-))"
Continuing Engineering 1401 product life after introduction. The reference to the IBM 421 is interesting to me. It is my understanding that one reason World Trade was encountering more difficulty with competitive accounting machines in the mid-50's was that the IBM 407 was not made available in Europe. They had decided that the potential sales volume did not justify tooling, etc. for 407 manufacturing. Bull was gaining some success in Europe and WT alerted Corporate IBM to this problem and asked for help. This led to the huge US/Europe market study which in turn led to the WWAM effort. Any variations of this policy must be approved in writing through this office." thus the "Solid State in '58" jingle. to build a transistorized machine in ~1955. (The 1401's data paths came from the WWAM. in the mid 1950s (which eventually became the 608). extracts are from pages 459 - 474 which may whet your appetite to see more. the book references interviews with Dr. Karl Ganzhorn (see Table of Contents) several times. 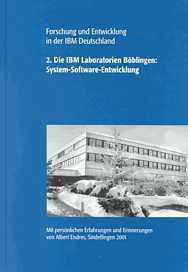 "Building IBM: Shaping an Industry and Its Technology"
Choosing what to delete was painful - every sentence is interesting !! more expensive than a typical installation of punched-card machines. for miscellaneous equipment and supplies. conference was known thereafter as the Worldwide Accounting Machine (WWAM). was involved) could be as large as 1900 seven-bit characters. product cost, including the cost of electronic circuits and packaging." area, Mork turned his attention to the WWAM product-cost problem. month, including card reader, punch, printer, and processor. he introduced the idea of variable-length instructions as well as variable-length data words. cpm, and the fastest punches available with unit-record systems operated at 100 cpm. 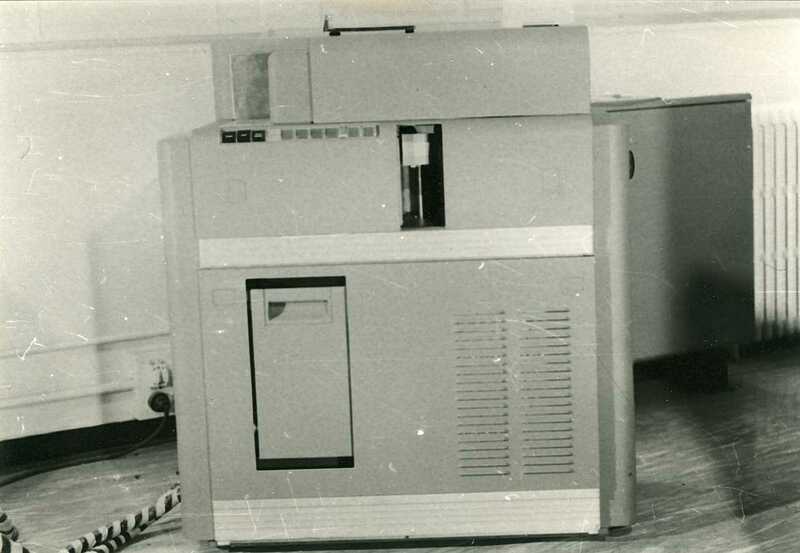 of the "chain" printer, a machine that was to introduce radical innovation into the design of high-speed printers for computer systems. in development to provide an admirable answer to the printing requirements of the system. thank you for your e-mail (address was correct, obviously). It is interesting to learn about the planned 50th anniversary of the 1401 announcement, and I compliment you about the efforts of recollecting the history of this break-through product. All I can contribute is a photo of the initial WWAM task force in August 1955 in Boeblingen, Germany, attached as  with some comments on the participants. It shows all the members involved except Jim Ingram (he probably took the picture, his chair is empty). - Ted Buley, IBM Poughkeepsie. Paul Lasewicz has a complete set of the book series in the IBM Archive. From Volume 1 the article in the "Annals of History of Computing", July 2004 is condensed. Thank you for your prompt response. Attached I am sending a new BMP scan of the WWAM task force 8/1955 which might help with a better resolution. The original picture comes from my private archive, I don't remember the photographer, but I assume you may use it as appropriate. Regarding the task force there are of course many episodes as our guests from USA and France were assigned to Boeblingen for many weeks with weekends of pleasure and exploration of Germany. The room ?shown in the picture was a large hall emptied by IBM Germany for the purposes of the task force. We equipped it with drafting boards, laboratory benches for demonstrations, and a large conference table. During the hot summer afternoons we served of course drinks. Yet, in postwar Germany the ?bottles were not yet cooled. So our American friends asked for some ice. But in those days ice cubes were not available from refrigerators in Germany. Nevertheless I called the kitchen for help. Ten minutes later the head cook apeared with a commercial ice block on his shoulder 40x10x10 inches and a 3 pound hammer, put it on the conference table and disappeared. We had some extra work with much fun. One weekend Joe Fernbach drove to the village in the Black Forest from where his grandparents had emigated in their younger years to USA. On Monday morning he came back completely flabbergasted, saying: "Karl, con you imagine - I understood their language! I never knew that before." What had happened: As a young child he had his grandparents heard speaking their German dialect and had picked it up unknowingly. Maurice Papo, an extremely brillant French engineer, was quick-witted and proud that he had some knowledge of the German language from school. The group often went out for dinner and explored German gastronomy (which, by the way, was not too exciting those days). Maurice always insisted that he ordered his dinner in German. So, one evening his American colleagues quietly instructed the waiter: "No matter what Mr. Papo orders - you bring him fried eggs!" Maurice saw that and immedeately responded: "See the problem wit these Germans: They don't understand their own language!" A story of typical IBM friendship: One morning I had to call and excuse me as my wife was in alarming condition having a blood poisoning in her throat and needing immediate treatment in a special clinic in Stuttgart. Ted Buley, knowing that I had no car yet in those days, immediately jumped in his rented car, rushed to my home and took my wife to Stuttgart breaking all speed limits. She was saved in the last minute. Thank you, Ted, again! 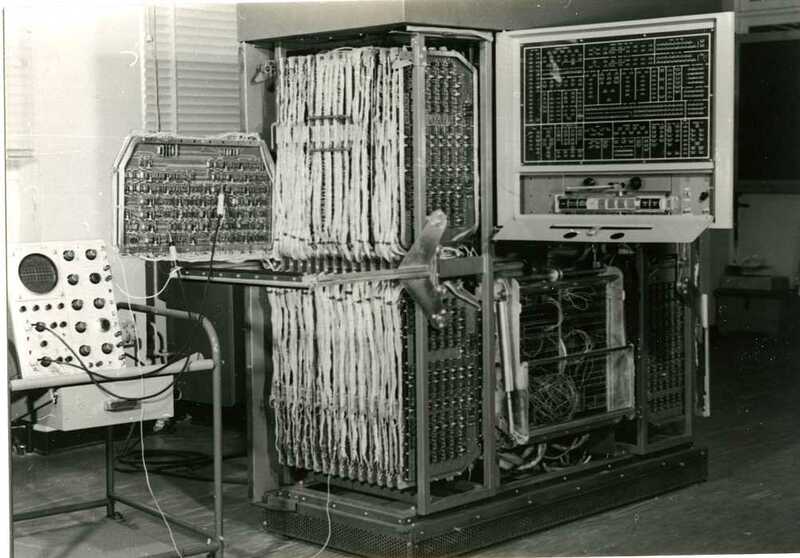 In 1955 we investigated three different approaches for an electronic accounting system: The American and the German concepts were both preoccupied by the large computer systems like the IBM 701: One address memory and consequently equipped with an accumulator. 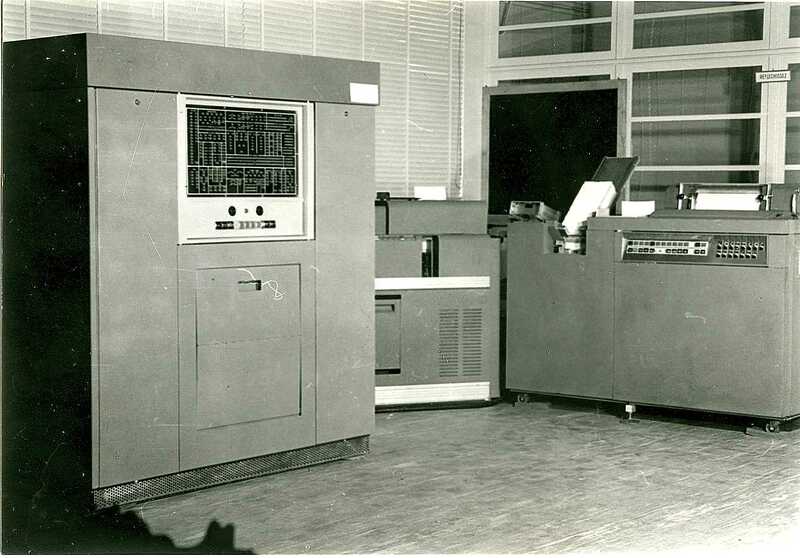 The French approach (for which Estrems and Papo later received high patent awards) was based on a two- address concept, using the second memory address as accumulator - similar to the relay accounting machines like the IBM 407. On top, a variable word length would be foreseen where the word length was determined by wiring on a plugboard. 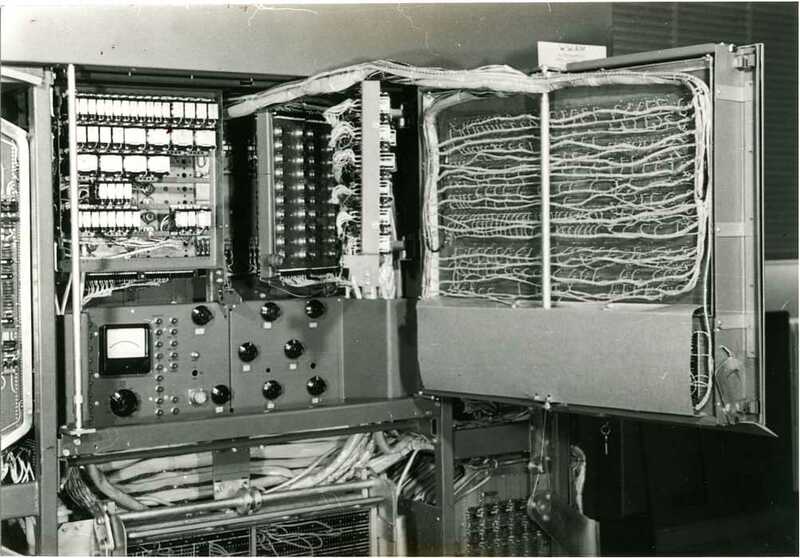 All three systems had the plugboard for memory definition and control. A year later, Underwood in Endicott, upon request of R.G. Mork, in a new systems study recognized that the necessary electronic drivers for the large plugboard were the prohibitive cost source. 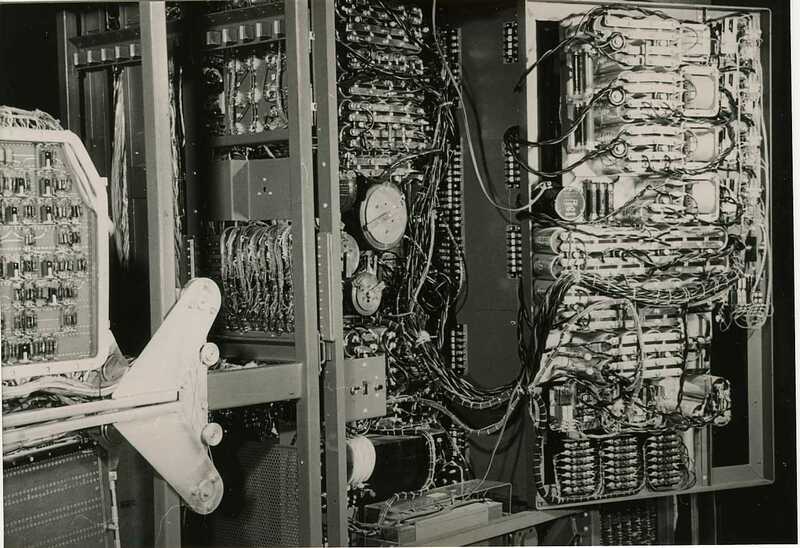 In 1956 he replaced the plugboard by stored program control. Together with the French two-address variable word length concept and a magnetically stored word mark in an extra plane of a ferrite core memory the costs could be brought down to what became the 1401. While the initial cost objectives could not fully be achieved the 1401 nevertheless found a huge market, admittedly not for the originally aimed smaller customers for which Jonny Dayger's 1403 printer was too powerful and expensive, but the only one available. 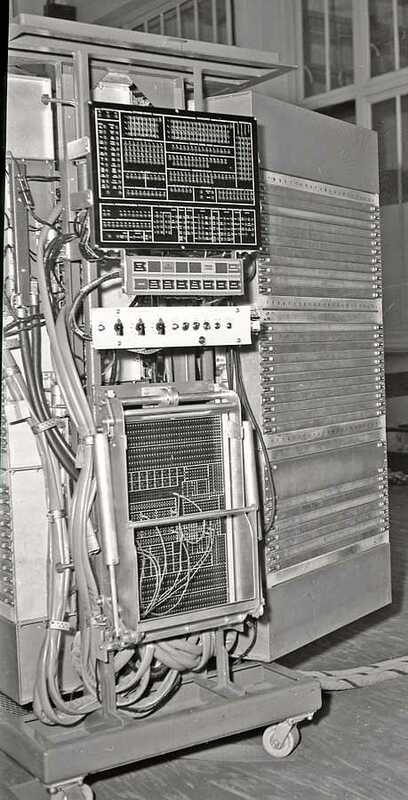 This was solved with the follow-on systems IBM 1430, IBM /360 Model 20 and /360 Model 15 later. 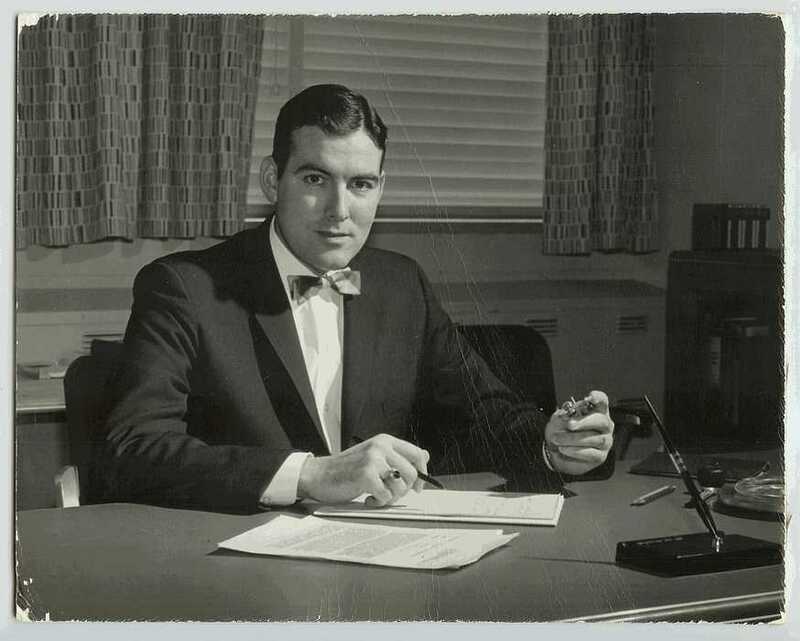 The WWAM task force continued in Poughkeepsie starting in September 1955 under Peter DeGeorge as Manager exploring the three approaches further. In 1956 the Corporation decided that this program should get highest priority, benefit from all resources available and be "put in best experienced hands", as Vin Learson stated it. But this is all documented in Ch. Bashe`s and E.W. 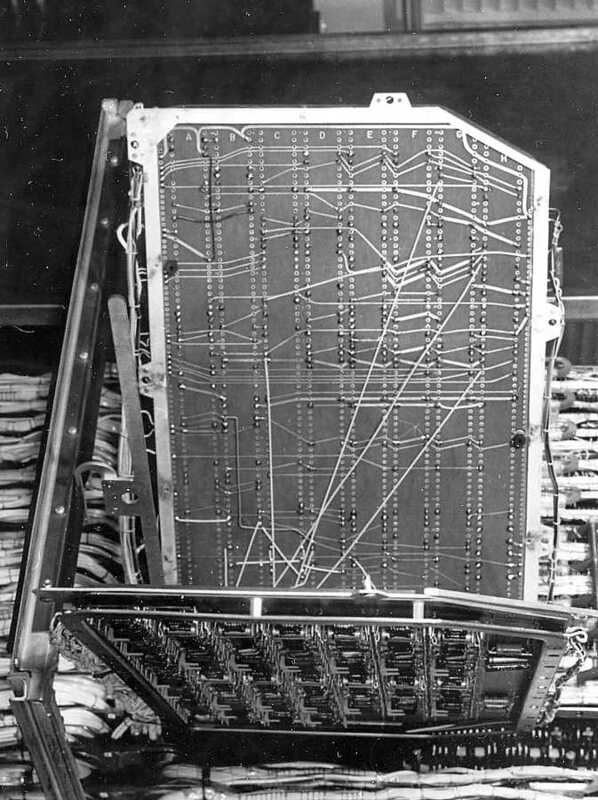 Pugh's "IBM Early Computers". May I stop here threshing old memoirs. Best wishes for your undertakings. Thanks for your special remembrances of the early development of the 1401 architecture! 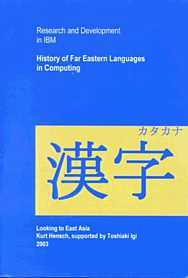 This early history is wonderful, fun, and interesting and what I was seeking so we can better understand and interpret the machine. May I ask: ?Can we please post your 1401/WWAM history and your anecdotes on our 1401 web site? ? http://ibm-1401.info/index.html (probably in a new section "Early 1401 Design History"). 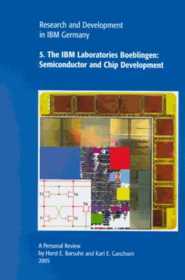 ?We have excerpts from Pugh's IBM history book there. What was the origin of the task force's name "World Wide Accounting Machine"? ?Were there high-level goals and marketplace motivators for an international machine that came from Watson/New York? ? 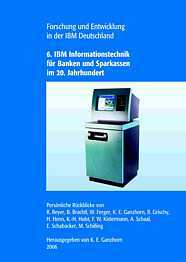 Were there aspects of IBM's unit record accounting machines that were a problem for world markets? 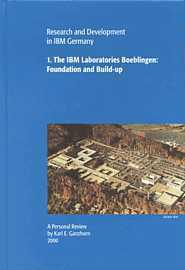 ?Or was the task force's genesis an effort of the new Boeblingen lab to get involved in IBM's mainstream machine development? ? How/why did the French members get invited? > patent awards) was based on a two-address concept. Were there any existing computers (possibly paper designs) in 1955 with two memory addresses per instruction that the French or WWAM team were aware of? > All three systems had the plugboard for memory definition and control. I'm still grappling with how a plugboard could would be programmed to perform all the functions necessary for a WWAM. ? Was it even larger than the 407's? ?Were these plugboard designs really workable solutions, or, in addition to the costly electrical problem interfacing to the plugboard, was it ever deemed to be too limiting a design constraint by members of the WWAM group? > In 1956 Underwood replaced the plugboard by stored program control. What were the most controversial topics between WWAM members? Any controversy on decimal addressing and arithmetic? ?Was there any debate of doing binary, or did decimal = business, no discussion? ? What drove variable-length word vs. fixed width? ?Was there any info on how much memory variable length words might save? ?Or just a gut sense it was cheaper (by who)? Do you know how we might be able to find any other surviving WWAM members? My apologies for all the questions, and thanks for all your help and stories!!! attached please find my comments to your questions . You may use them for publications except the one on my wife?s illness. In the early 50ies IBM?s Unit Record product line was different in USA and WTC due to the war separation. But the need for faster calculation and printing was recognized in both areas. 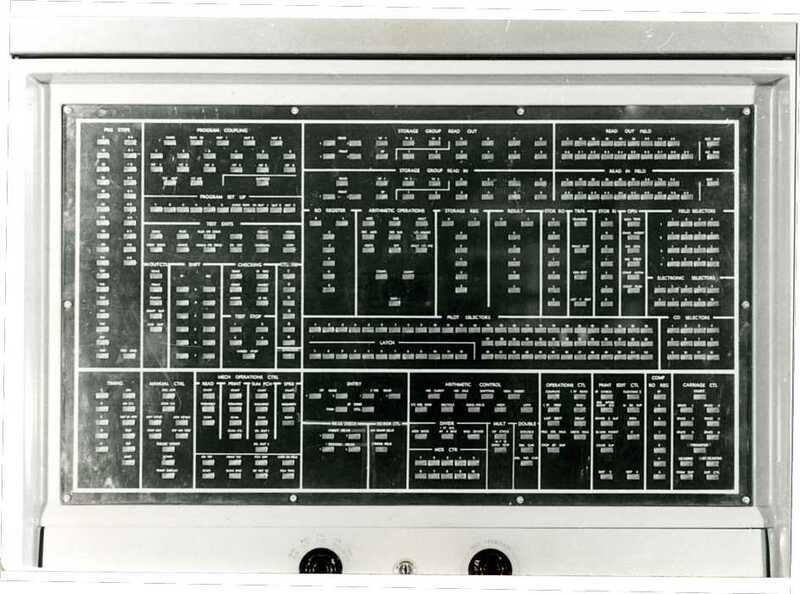 During and after World War II the development of Unit Record punched card machinery had followed different routes: In France J. Ghertman and his engineers had designed calculator punches like the 626 and especially a new accounting machine Type 421, functionally similar to the 407, all in relay technology with plugboards for wireable data flow, storage allocation in electromechanical counters and control functions. In Germany a series of special features for the 421 accounting machine were designed. IN 1951 the Corporation had encouraged several European IBM companies (France, Germany and United Kingdom) to establish engineering competencies in electronics. In France J. Ghertman, in Germany Walter P. Scharr and in UK J. Elliot (an outside hire) were implementing this directive. By 1954 it was recognized in USA, in France and in Germany independently of each other that electronics had to be investigated also for use in Unit Record machines, replacing the clumsy relay technology. 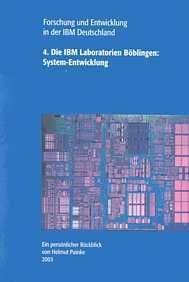 In USA several engineers around Jim Ingram became active, in France John Ghertman and his excellent engineers were searching ways and in Germany I had been given the task to seek ways for introducing electronics and physics into IBM?s product line technologies. In early 1955 the Corporation set an objective for a common future product line for the Unit Record markets in the world. In the following early deliberations the name of "World Wide Accounting Machine" emanated. For the first time a multinational engineering task force was conceived, the WWAM task force, with participants from USA, France and Germany. Walter Scharr, head of the German engineering department, was asked to host the first workshop of the WWAM task Force (about 6 weeks) in Boeblingen, Germany. Both Watson brothers, Tom and Arthur, took an active interest. The strongest market pressure emanated in France from the national competitor Bull who had an electronic machine out in the European market. The plugboard used to be the generally accepted means of control in all Unit Record machines (405, 407, 421, the earlier German D11, etc.). By plugging wires the information flow, the memory allocation and all functional control signals were determined. In the early design deliberations for WWAM this concept was never even questioned. It was Underwoods independent mind touching this holy cow in 1956/57. The WWAM concept also had in mind that for the world-wide customer community the established way of handling control by plugging wires on a plugboard should be maintained. The 1401 finally took away with this, based on Underwood?s design proposal, which meant a breakthrough in the Unit Record world. Decimal arithmetic was never questioned for the wide spread accounting business. Fixed versus variable word length was a long debate. Primary reason for variable word length: Saving expensive magnetic core memory capacity. (Even three years later the 1401 came out with a lowest cost memory version of 1400 characters!). The costs of electronics technology with ferrite core memory and stored program control were still barely acceptable for the Unit Record market in the mid 1950ies.. Its low cost end actually could not be reached with the 1401, particularly in Europe. But thanks to the booming high end Unit Record market in USA this did not matter. Instead, a low cost version 1430 was planned to be developed but this submerged in the /360 design processes for several years. Eventually the /360 Model 15 and later the /3 took care of this. rgmork AT ibm DOT net (this is an old address. Ralph Mork recently did no longer maintain our former connection via e-mail for unknown reasons. If he responds he may also know about Underwood). Re address of Underwood: he might be a primary source of 1401 info. Maybe E.W. Pugh might know). I hope this helps you with some of your questions. Thank you for your extensive e-mail information on the fresh-up of 1401 history and design. August-December 1955 in Boeblingen and shifting in September to Poughkeepsie with all initial participants. 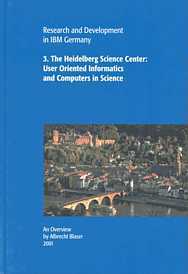 The German Lab had been in the middle of this compatibility battle 1401- versus /360- architcture which was taking place in 1963 between GPD Endicott and DSD Poughkeepsie. It escaped by a tricky processor design: Its new processor had all functions implemented exclusively in microprogram control stored in a hardware read-only store (stored function concept). Thus, when the decision was taken to go /360-compatible early 1964 only this hardware control store had to be exchanged in order to switch to the other architecture. It took only about 6 weeks redesign of the hardware control store, yet long enough that the product could not make it for the /360 great announcement in April 1964. So, only in November 1964 the /36O compatible product could be announced as the /360 Model 20 (which in the following years reached over 15 000 systems shipped world wide). But then, the struggling for lower cost continued, and Boeblingen developed a /360 Model 15 which came out later. Regarding 1401 alias: As mentioned above I am not the right person for this, as after WWAM I had turned to other areas in building and managing the German Lab in 1956. Your planned paper on the 1401 history would of course be of interest to me and I gladly would review it for the part in which I have personal memories. Regarding 626 and 421: Both machines were IBM ?badged products developed in France for the WTC market after the war. 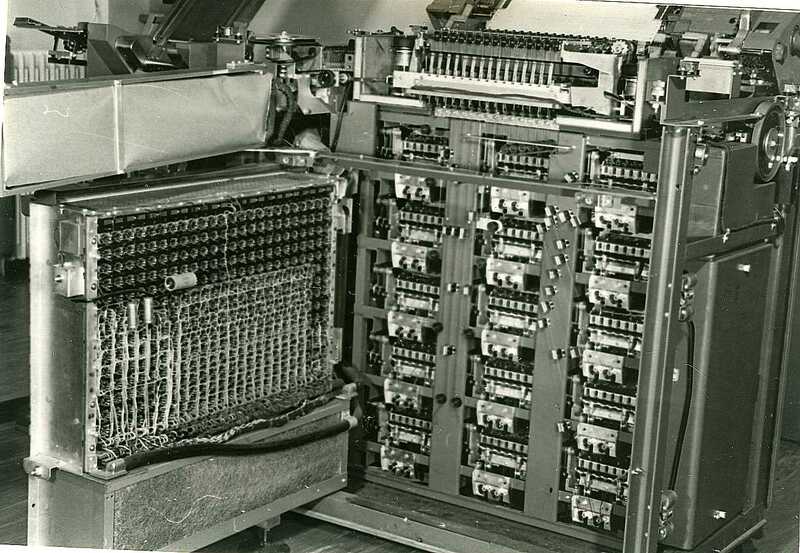 The 626 was an electronic calculator card punch (electron tubes) and the 421 was the analogon to the 407 accounting machine with electromechanical technology. The printer and counters of the 421 were different from 407's. HDSC Staff Members and Visiting Scientists. The 1401 has been such a major event in my IBM life that I have too many recollections including pictures.. and I don't know where to start! Unlike Karl, I don't have the time or the motivation to embark in the task of writing books about it! 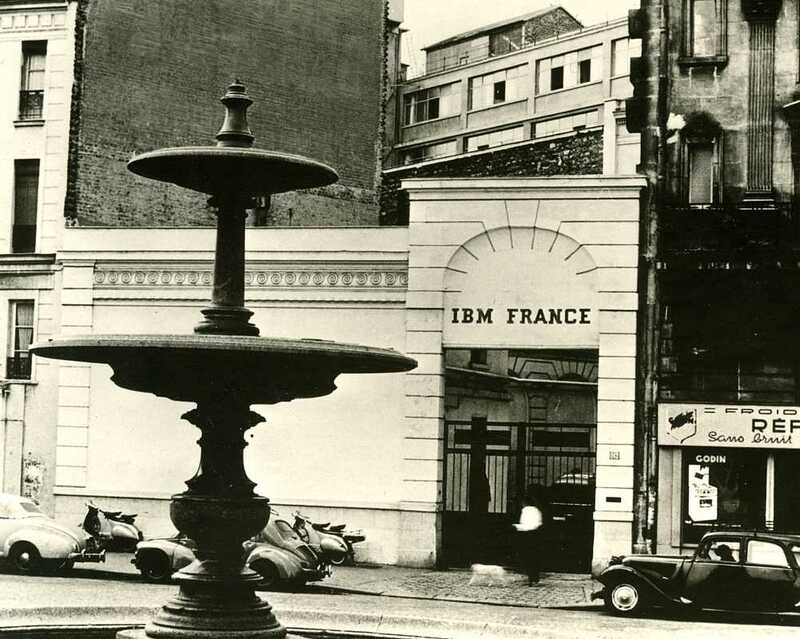 The initial project, and the resulting competition between the 3 IBM labs came from a visit of the IBM France President Christian de Waldner to Watson complaining about the major inroads that the French computer company Bull was doing to IBM, mainly in tne banking areas for lack of IBM answers.. The competition decision was then taken at the highest IBM level. The WWAM wanted also to "prove" a new packaging "card on card" approach. The initial WWAM model was built this way, and I have of course numerous pictures of this design and the implementation team. Thre are still a number of engineers and techniciens who participated in the design and build up of the initial WWAM in the IBM La Gaude laboratory, still alive in the area. We will probably have some more exchanges in the future.. but I hope that the above may help as a beginning. I've learned through exchanging emails with Karl Ganzhorn about your involvement in the mid 1950's in IBM's WWAM task force. I am working with a group of volunteers at the Computer History Museum in Mountain View restoring an IBM 1401 to complete operation. May I ask if you might be interested or able to in share any of your stories, recollections or history of the WWAM / 1401 project? p.s. I'm also trying to locate Francis Underwood, principle designer of the 1401 in Endicott. And Ralph Mork, or any other surviving members of the WWAM / 1401 team. "But (1) his name was Francis O. Underwood, and I seem to recall that others have tried to find him in recent years, unsuccessfully. And (2) don't hesitate to communicate with me, particularly concerning am apparent 1401 COBOL inquiry. And (3) I remember an engineer Glen Nielsen in San Jose, I think a manager, I think on the 1620 project, no 1401 connection that I ever heard of. And (4) I remember Gary sending the 1403 in the T/L basement into a paper-consuming paroxysm, via a no-escape null print loop that had it executing endless skip-to-top-of page instructions. And (5), tying into Gary's story, I remember that the first index register arithmetic did not wrap around, making it impossible to decrement IR contents. They quickly redesigned it on our recommendation to wrap around at 16K, but, as always, it took forever to get our own machine fixed. And finally, Dave, Gary's memory seems to be better than yours (and why not?! ), for you have slightly garbled the history thing via capitalization and lack of mention of co-authors, etc., but you get credit for coming up with my e-mail address! it quickly found its market value in the US. Thanks for your gracious response to my questions (copied below). This better explains the relationship between Dayger's tape-to-print project, SPACE, and your involvement! > Things came together as I recall in the late spring of 1959 when I was satisfied and we had some big �guns� like Bob Evans demanding tape be included with the initial announcement. Or was he presaging that tape would increase SPACE sales? According to Shel, no-one realized that was going to happen; i.e., it was a surprise that so many customers (eventually over 50%) bought tape systems. > We set a rather aggressive schedule considering the fact that almost everything in the system was new. Besides the 1403, which items did you consider new? -and SPACE's data paths were taken from the WWAM. -Also, the tape controller circuits were borrowed from the 7070. > Regarding your question about recording a brief piece on the 1401 goals and the overall Space program, I would be receptive if you feel it would be helpful. That would be great! I'll be meeting with Shel and the woman responsible for the movie script, Jas, next Weds. * Perusing a recent issue of the 1964 ACM Proceedings, a practical article, "The STL Integrated Computer Operating System" by TRW, pointed out that their average 7090 compute job took only 3.6 minutes (with 80% completed under 5 minutes), but then each job required an average 4.1 hours on their peripheral 1401s for tape-to-print and tape-to-card, due to the operator sequentially mounting tapes, etc.. (Their configuration was actually two 7090s and six 1401s.) By incorporating a 1301 disk with a custom OS using "job information blocks" to act as a I/O spooler buffer, the overall job throughput dropped to just 1.6 hours, which effectively could allow for one fewer 7094 (if the load remained constant)! Illustrates the importance of balancing computer and I/O, particularly during that era when CPU cycles were so damn expensive. I'm sure this is one reason that Fred insisted that all mid- to high-end 360s have a disk! The following enclosed item may be Branscomb to Garner, dated ? Sorry I overlooked responding to your question about goals for the 1401 program. Actually, I think you have a good understanding of our major goals and later I will comment on why I think Jonie Dayger called our goals �lofty�. FUNCTION/COST: For the larger customers, we wanted to make sure we could handle essentially all the applications that a customer with multiple accounting machines and a 604 could run. At the same time, we knew that entry price for the smaller customers was crucial so we established cost targets that would provide a complete small system for less than $2500/month. We were determined to meet this system target - not because it was necessary to have a successful product but because we wanted to move the maximum number of customers to stored program control. SIMPLICITY: We realized that just function and cost would not move all those customers to a new totally different system. So we did whatever we could to make the 1401 a system people from the old system environment could relate to. Most early computers were �fixed word�. �Variable field length� in our system helped unit record people relate to it and very importantly gave us much more efficient use of memory which was crucial to making our cost targets. Our architecture also provided a very simple, easily understood instruction set. PRINTING: This was and is a very important function in business data processing. �Lines per minute� always draws a lot of focus but print editing is also an important function and the 1401 was excellent here as well. The 1403 had excellent paper handling which significantly improve throughput in printing applications. SCHEDULE: We set a rather aggressive schedule considering the fact that almost everything in the system was new. TAPE TO PRINT: Jonie Dayger had a �tape to print� product under development when the 1401 was begun. Since there were only several hundred potential customers, his forecast was relatively small. This meant that his target rentals were quite high but that was not a problem in the tape to print market. Since we were pursuing large volumes, our target rentals were much more attractive. As a matter of fact, my recollection is that a tape to print version of the 1401 had a rental target lower than Jonie�s product even though it provided much more function. I think this is one reason for Jonie�s �lofty goals� comments. I think the other reason is that there had been several attempts to develop a new system to replace the IBM 402/405/407 and all had failed. The Transcriber (my first assignment in IBM) effort was terminated in about 1953. The MAC proposed out of Poky identified their low end machine and gave very little detail but did note that it would probably be a control panel machine since they could not afford stored program. 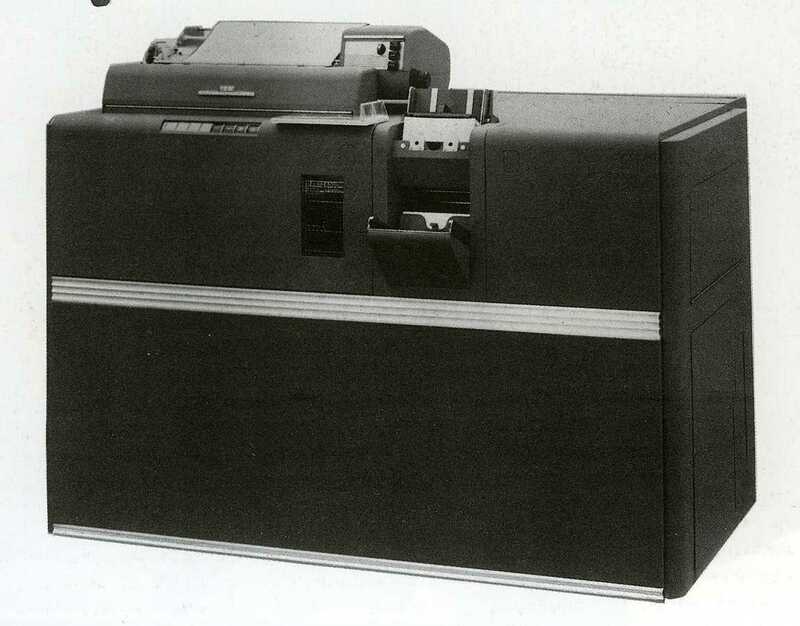 I think at one point there was proposed a TAM (Transistorized Accounting Machine) but never really got off the ground. And of course the WWAM program was in great difficulty and was terminated with the acceptance of the 1401 into the product plan. So Jonie had some basis for his view and there were others skeptical that we could meet our objectives. Even though Fran Underwood had architected attachment of tape and disks to the 1401, I refused to incorporate tape into the initial announcement until satisfied that we were going to meet our fundamental objectives. Things came together as I recall in the late spring of 1959 when I was satisfied and we had some big �guns� like Bob Evans demanding tape be included with the initial announcement. I had a chuckle from your comment about �adopting or stealing� the 1403. Jonie very much wanted the big volume for the 1403 that would come from the 1401 but he wanted more urgently to get his printer into the market and he had a product that would do it. I felt he and I pretty much saw things in the same manner. I did not want to get diverted to tape prematurely and he did not want to get diverted from his product prematurely. By the way, I�m quite sure that Delco developed and made a special high voltage print magnet driver for the 1403. Subject: Re: Jonie's tape-to-print vs. 1401 and a new 1401 movie (was Re: IBM Corp Market Research's "67 Years of Progress" chart, 1960, missing the 1401 ! >> But Jonie was not convinced that we would meet what he called our "lofty" goals and he continued his product until the spring or summer of 1959. Do you recall your "lofty" goals for SPACE? Do you recall what finally swayed him (or someone ordered him) to drop his tape-to-print machine in the "spring or summer of 1959". I understand that Delco had developed them (or perhaps the high-voltage tolerance) for electronic automotive spark plug distributors. Do you recall if they make a special power transistor tailored for the 1403? Best Wishes and Happy Father's Day! >> My recollection is that we did announce Model D for those customers that only wanted "tape to print" but I do not know how many were ordered without the 1402. >> Also, our recollections are a little different about Jonie Dayger's program for a tape to print product. When his team initially could not find a solid state driver for the print magnet drivers, we joined them in appealing to Ralph Palmer (director of engineering for our division) for an exception to the edict. Ralph refused and then we joined Jonie's team in pursuing an outside vendor solution which fortunately was successful. But Jonie was not convinced that we would meet what he called our "lofty" goals and he continued his product until the spring or summer of 1959. It is unfortunate that Fred Demer (main inventor of the 1403 printing concept) and Jonie did not receive more recognition for a product that was a profound advance in computer output printing. The IEEE article is an excellent, informative, articulation of the early computers. Congratulations. Im sure that Bob Evans push for tape with the initial 1401 announcement was to help the 7000 series. More specifically, the 7070 was in real trouble and Bob was moved up to Endicott to bail it out. My thoughts on what was new in the 1401 program may be somewhat different from yours. My thinking starts with the people in Engineering, Manufacturing, and Field Service and their lack of experience in dealing with anything like the 1401. My guess is that three fourths of them had never been exposed to a stored program system, solid state technology, and the packaging, power supplies, cabling, etc. that support low level signals. The projected production volumes of the 1401 presented a severe training challenge in manufacturing and field service. The lack of experience showed itself in many ways. For example, we had great debates with manufacturing about product costs and with field people about service costs. Both of these had real effect on meeting our rental targets and frankly, we never did get what we thought were proper service estimates because of their inexperience with something like the 1401. Back to engineering and people. Start with me - I had taken 2 or 3 night school electronic courses but I had zero experience in stored programming and solid state technology. Most of our logic designers had some tube circuit experience but not solid state. Also, we of course had essentially no design automation in those days to help identify timing races, hot spots, etc. In view of our focus on cost and our volume, we worked with the circuit designers on special SMS cards rather than just use the standard cards. I wish I could recall the specifics about power supplies, for example. I feel quite sure that we were not satisfied with the "standard" supplies and pursued supplies specific to us that were more reliable and cost effective. It is clear some of the internal data paths were from WWAM but I think you would find the input/output was handled quite differently and of course variable field length was handled with word marks. Further, implementation of the data paths in the most reliable and efficient manner was much more crucial to me. By ther way, I thought I was told by the memory people that the way they were able to meet our cost objectives was with new X/Y drivers. I will not continue to "ramble" but will mention just one other example. It was the very early days of back panel wiring with Gardner-Denver machines and this was a real concern for some of us. To make changes in the field, service people had to use a manual tool and that led to some troubles. Its difficult to put myself back into the second half of the 50's but I'm comfortable in saying that almost everything in the system was new to a large percerntage of the people who had to design, manufacture and service the 1401. Regarding tape on the 1401 itself, we certainly did not focus upon a tape processing system. 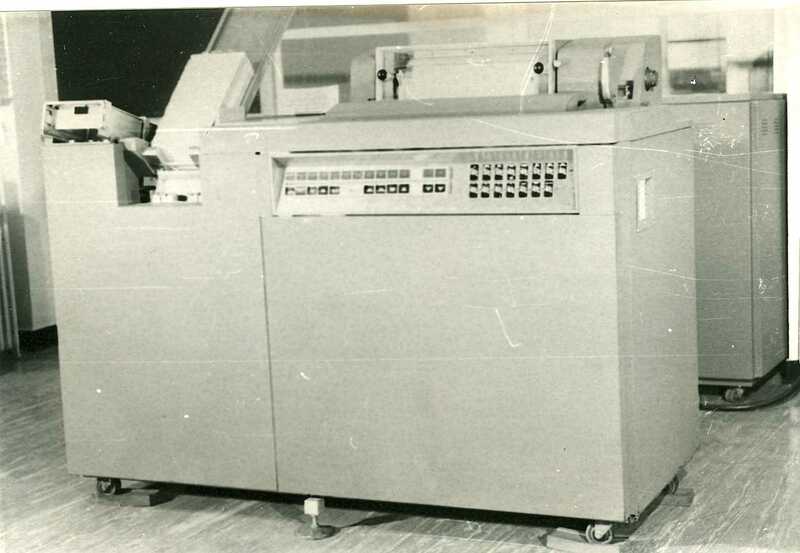 We did know that the 1401 was excellent at card to tape and tape to print functions. I am still not convinced that the 1401(not the 1460,1410, or 7010) with no operating system was an adequate tape processing system. My guess still is that most 1401's with tape were used for I/O operations but of course I do not have any data to support that view. Two IBM 1401 Principle Founders found!! I have some auspicious news to report: After several years of on/off searching, I've located the 1401's lead designer and "father", Mr. Francis O Underwood! He's living in Lockhart, TX. In addition, at Fran's urging, I soon found the 1401's lead marketing/planner, Sheldon Jacobs. He's closer, in Saratoga, CA. Both are now on our 1401_team alias and are cc'd on this email. Fran is just delighted that we're interested in the seminal 1401, have restored one for the Museum/public and considers it an honor to be able to help us out. He has delightful, insightful stories to tell, and hopefully we'll get him on the phone soon. (btw, He also worked on the 1130 and 1800.) Shel is also quite excited about our project and is looking forward to participating and sharing his many period stories. First, from reading the oral histories and discussions with Fran & Shel, I've come to understand why 1401 sales literally exploded and also learned something new - that Fran & Shel had to overcome some significant early doubts about the viability of the 1401 in the business marketplace. Although we take stored program computers for granted, several "status quo" factors were obscuring potential progress in the market: 1) the predominance of feature-ladened plug-board accounting machines, 2) certain Endicott planners not understanding the power of combining computing and card handling into one machine, and 3) little appreciation of the resulting software ecosystem waiting to be created. It took Fran's vision of the suitability of a stored-program architecture for the high-volume, business market (and a particular circuit designer reducing the cost of core and other fortuitous events from engineering, e.g., SMS, chain printer, and 088) and Shel's doggedness to get his 1401 volume estimates (validated by his customer visits) accepted by Endicott planners that finally got the 1401 across its chasm. These factors all converged at the same time as a glaring market vacuum/black hole for an inexpensive stored-program machine had opened up. The 1401 just sweep away the unit-record accounting market. 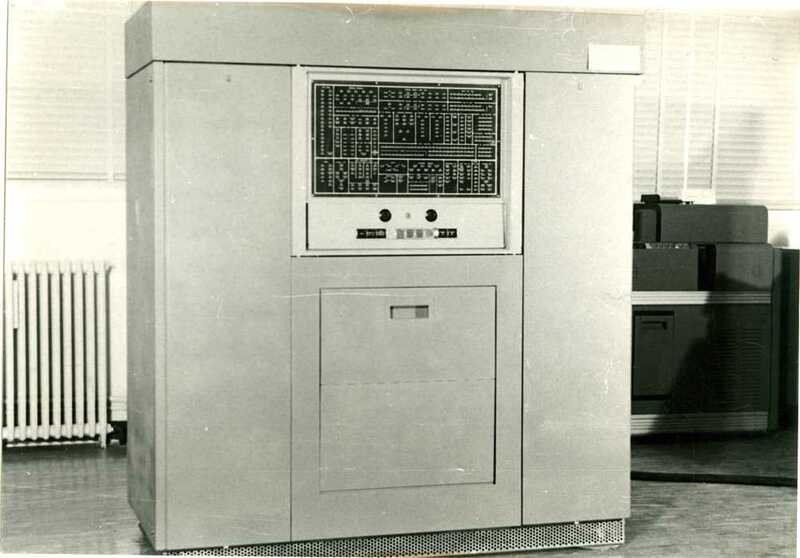 It was the market's first high-volume, stored-program computer. with the thought of so much revenue. There was just an enormous market demand for the 1401: According to Shel, IBM sales booked the entire five-year 1401 planning forecast--5,100 systems--in the first five WEEKS! Fran mentioned in his 1968 oral history that they booked 750 systems alone in the first week alone. Shel said that the eventual run rate for the 1401 was $30 million per month. If that happened in say 1966, in today's 6.5x inflated dollars that would be equivalent to $200 million per month! More on 1400 characters: Fran hand-coded the "French banking application" in 1400 characters. (It was known as "le plus grand decouvert", handled well by the existing Bull Gamma III that was outselling IBM accounting machines in Europe, according to Maurice). Shel also had a sharp young engineer code up in 1400 characters an inventory/billing/commission application for a NJ correspondence school. Nevertheless, Shel noted that "almost no" 1,400-character machines were sold, as we've understood. 1400 characters seemed to be a demonstration that the pricing-sheet, entry-level $2,500/month config could handle any unit-record/accounting job, and cheaper. Which also indicates delivery time was 2 years! Most of the views are self evident.. The WWAM_all image ?[WWAM_Reader]? includes the connexions to the card punch and the reader printer which were required to answer the unique (?) European requiements for the whole system. Here are a few more WWAM pictures..
to understand how the "large printed cards" swing out for servicing. I was just reading Karl Ganzhorn's History-02 email to you and something jogged my memory. While the initial cost objectives could not fully be achieved the 1401 nevertheless found a huge market, admittedly not for the originally aimed smaller customers for which Jonny Dayger's 1403 printer was too powerful and expensive, but the only one available. 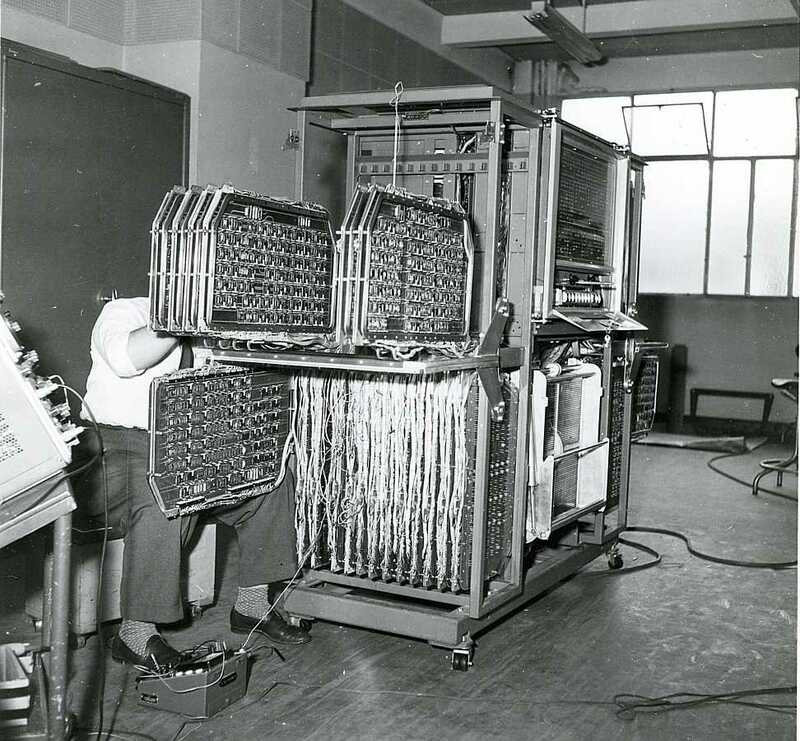 This was solved with the follow-on systems IBM 1430, IBM /360 Model 20 and /360 Model 15 later. After the first few systems were installed in Atlanta having a 1401 system turned into a "Status Symbol". Customers were building show place computer rooms with plate glass windows to view system from the hall. Some even had a button you could push and hear a recording describing the system. I remember two really nice ones at Avon (the Cosmetic company) and Retail Credit Corp. (later to become Equifax). This was before the race riots in Los Angeles(1) where a data center was burned down and the insurance companies demanded much more security. Before that you could just walk in off the street to any company and go where you wanted. There may be a receptionist in the lobby but no security guard and sign in desk. These show case computer rooms reminded me of things that came later like, my lawn mower is bigger than yours, and still later my SUV can crush your Minivan. Everyone wanted one and some companies jumped the gap and were paying more for their 1401 than they did for their EAM installation. We ended up with 125 1401 systems in the Atlanta metro area. (1) You may wish to add a footnote mentioning the more pivotal "Sir George Williams Computer Center Riot" on February 11, 1969. The day after would have been the best moment in time to own stock in the plywood business as everyone, including IBM Montreal boarded up their store-front data center show cases. Reading the WWAM docs, I believe the 1402 <-> 1401 connection came right from the WWAM design. And the 729 <-> 1401 TAU connections are exact copies of the 7040 (or whichever it was) design. The 1403 <-> 1401 connections I suspect came directly from the standalone print unit (forgot name at moment) and were morphed from tubes drivers to power transistors. We can verify all this with the 1401 design team: Fran, John, Justin, and names to come! Maybe thick cables is the trade-off for having the print and tape controllers in the 1401 cabinet, and the print hammer power supply in in the 1402.